Many of our frontcountry provincial parks allow dogs/pets on a leash at all times but they are not allowed in our beach/picnic areas or park buildings. 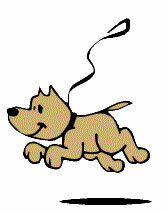 You can confirm this information by checking the “Pets on Leash” symbol on the specific park page. The below listed provincial parks offer special off-leash or swimming areas for your dogs. By clicking on these park names, specific details about where this special pet area is located will be mentioned with the "Pets on Leash" symbol on the park page. Please be responsible when your dog is off-leash, make sure you keep them under control and always pick up and dispose of their excrement.